Place the blackcurrants, sugar and water together in a pan and heat gently until evaporation begins. 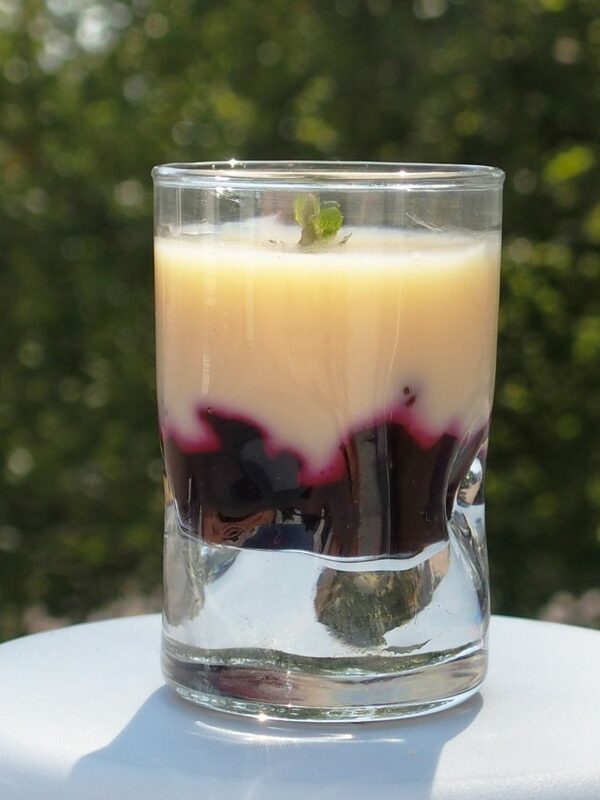 Place the reduced blackcurrants in a pannacotta dish. Infuse the cinnamon, verbena and demerara sugar into the cream for about 15 minutes, then sieve the cream and incorporate the chocolate and the gelatin. Fill the dish and put in the fridge to cool.